Norway has more than a thousand fjords, but the really famous ones are located in Fjord Norway. The fjords might be the most important symbol of Norway and are definitely amongst the most popular attractions. However, as the midnight sun only occurs above the Arctic Circle, you need to plan carefully if you want to see both spectacles on the same trip. First of all, take your time to figure out when and where you want to start. The fjords can be seen all year long, but the midnight sun only occurs during summer. The further north you go, the more nights of midnight sun you get. The closer to midsummer, the further south you will be able to enjoy the endless day. Start your trip in Stavanger or Bergen and swing by Ålesund if you have the time. On your way, you can see the fjords from boats, trains, or famous mountain plateaus. 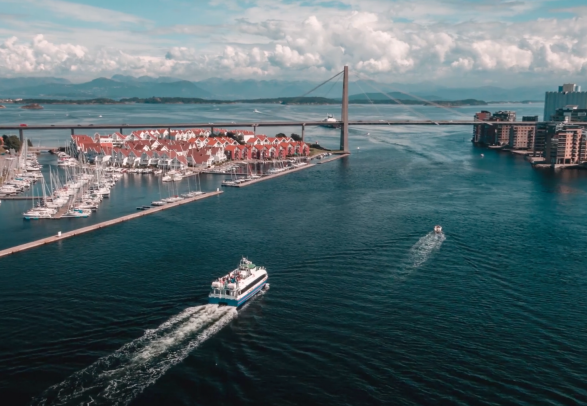 Stavanger has excellent domestic connections and direct flights to and from much of Europe, as well as a car ferry connection to Denmark. Once there, a day trip to the mountain plateau Preikestolen (The Pulpit Rock) is a must. The hike takes about three hours, and the view from the top is captured in more than 300,000 selfies every year. If you prefer to skip the hike, you can see the majestic cliff from below by taking a fjord cruise on the Lysefjord. If you have a bit of extra time in the Stavanger region and want another hiking challenge, consider a trip to Kjerag and admire Kjeragbolten, the famous boulder stuck between two mountainsides. It is easy to get to Bergen from both inland and abroad. 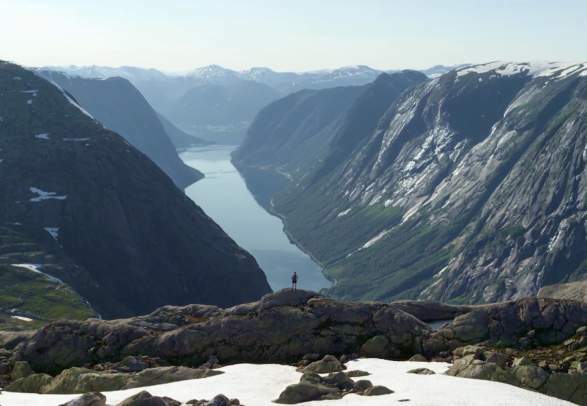 Once there, the day trip Norway in a Nutshell® guides you through some of the most dramatic mountain landscape in Fjord Norway. 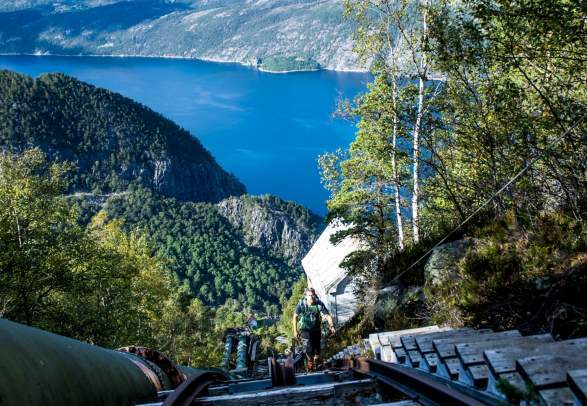 You’ll get to ride with Flåmsbana (The Flåm Railway) and see the UNESCO-listed Nærøyfjord. 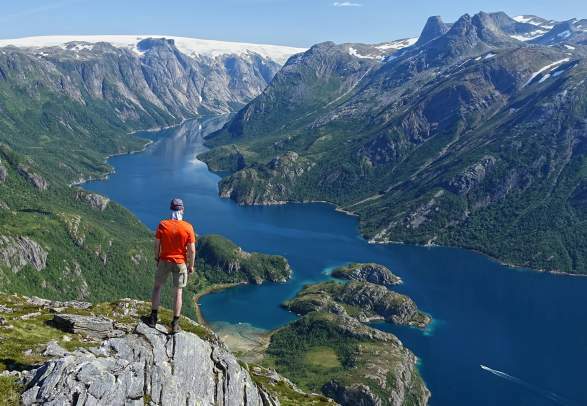 If you want to explore the mountains on two wheels, you can rent a bike and conquer Rallarvegen (The Navvy’s Road), which is easily combined with the Norway in a Nutshell® tour. With its steep descents and wild waterfalls, Rallarvegen is named Norway’s finest bicycle road by the magazine Travel and Vacation. If time allows, you should stop in Ålesund. The most relaxing way to travel from Bergen to Ålesund is Hurtigruten, the coastal express that serves the entire Norwegian coast north of Bergen on a daily basis. From the art nouveau style city of Ålesund, you can take a day trip to the Geirangerfjord, a jewel in the Norwegian fjord crown and listed as a UNESCO World Heritage site. There are two kinds of people: Those who have already experienced the midnight sun, and those who have yet to see it. Summer nights are long and bright in all of Norway, but to experience true white nights, you must go north of the Arctic Circle. It is a long drive from Ålesund, so you might want to fly or take Hurtigruten instead. Few places are better suited to experience the midnight sun than the Lofoten Islands. Surrounded by the sea and largely untouched natural landscape you can lean back and enjoy the peace and quiet. 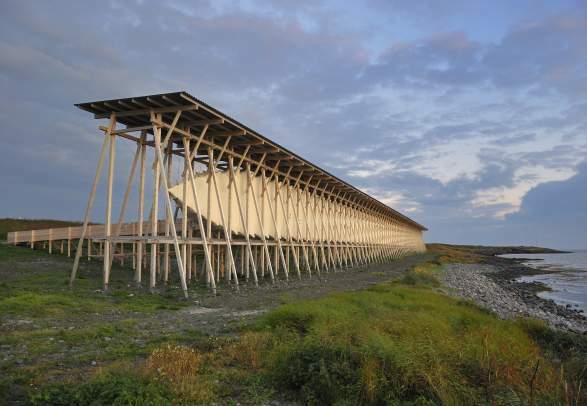 But there are also plenty of activities available under the midnight sun for visitors with energy to burn. North of the Arctic Circle, the locals tend to make sure that you forget to go to bed. It might be tempting to stay in Lofoten for the remains of your days, but Tromsø further north is a city you shouldn’t miss. From Bodø you can fly to the city with the nickname “Paris of the North” in one hour, or you can enjoy the midnight sun from the deck of Hurtigruten before it arrives in Tromsø late the following day. If you have time to spare or want to extend your stay, continue north from Tromsø by plane, or use Hurtigruten as the hop-on, hop-off service it was always meant to be. If you hop all the way to the turn-around port Kirkenes, you can fly back to Tromsø, Oslo, or a number of smaller towns. In the extreme north of Europe, the North Cape is one of Norway’s most popular tourist destinations and offers a wide selection of attractions and activities. Here, only the Svalbard archipelago lies between you and the North Pole, and the sun never sets between the middle of May and the end of July. 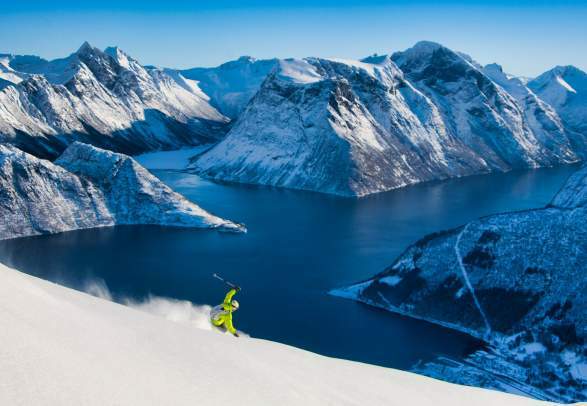 To get there, fly to Honningsvåg or take Hurtigruten to one of the towns in the region. If you still haven’t got enough, you can fly from Tromsø to Svalbard and experience a true Arctic adventure. 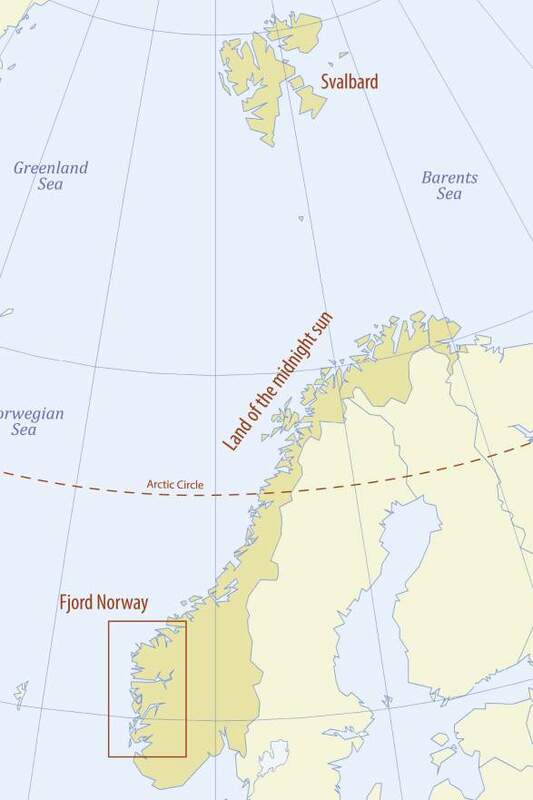 This far north you get midnight sun from 20 April until 22 August. Bring warm clothes, and watch out for polar bears. 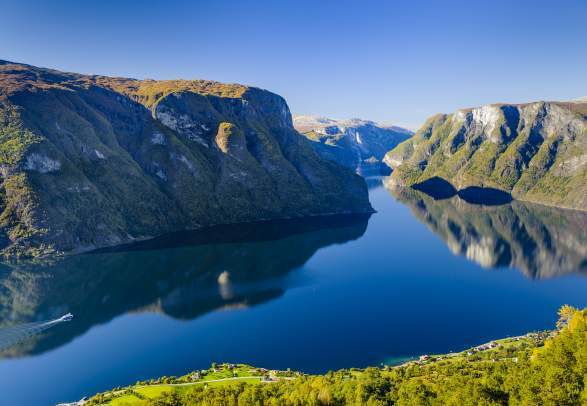 With more than 1,000 fjords around the country, 10 of which are frequented regularly by cruise ships, you might need some help to choose where to go and which fjords to see. Along selected roads in Norway, natural wonders are amplified by art, design and architecture – taking you closer to nature in new and surprising ways.